YES YES YALL! Welcome to the new blog. THE BOOM DOCS. We will be putting the spotlight on all things that are dope...so stay tuned! 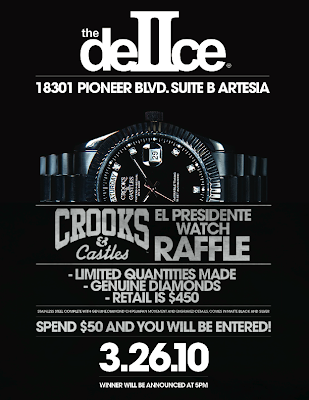 For now, make sure you go down and spend $50 at THE DEUCE so you can get your name the raffle for a Crooks & Castles "EL PRESIDENTE" watch...that's right! A $450 value!